Karl Tammiste was acknowledged as the best photo hunter in this year’s wildlife photography contest „Bloodless Hunt“. He caught an authentic moment from forest life: a lynx with a frehsly slain roe deer, observed by an elk. In the words of Tiit Hunt, organiser of the Bloodless Hunt and director of the Zoology Department of the Estonian Museum of Natural History, the winning photo this time was quite extraordinary: "Conclusive for the jury in deciding on the winning entry was the fact that the scene that Karl Tammiste caught was so rare, and unique in the history of the competition“, Tiit Hunt added. Karl Tammiste’s winning photo also won several special awards. Special prizes were also awarded to Indrek Ilomets (Looduse Omnibuss award) and Ingemar Muusikus (awards of journals "Eesti Loodus“ and "Loodusesõber“). Author of the best photo of this year’s signature animal, the woodcock, was also Karl Tammiste. In the course of the competition, from Friday evening to midday on Sunday, the photographers pictured altogether 104 different species of animals and birds. 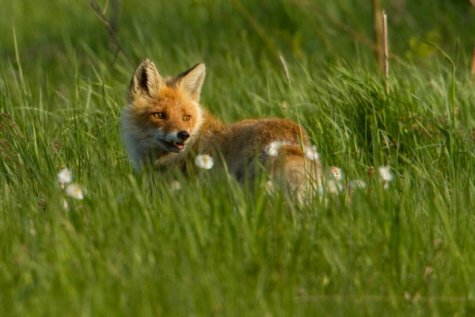 The selection of the jury from the photos in the photo hunt has resulted in a photo exhibition showing the landscape and its inhabitants of the Jäärumetsa hunting district. The exhibition will stay open in the Estonian Museum of Natural History (Lai 29a, Tallinn) until November 27. 2011 Bloodless Hunt selected photos for the exhibition can be seen here . (Please consult also the rules and conditions for use of the photos).